What electronic book do I buy? Are there so many differences between them? The summer holidays are the ideal to propel himself to enjoy a good hobby, one of those that should never give up in any month of the year actually time: reading. We have all kinds of ways to read and enjoy this passion: books, magazines, articles … But one of the most booming in recent years is that of being able to enjoy all kinds of literary works or texts in an electronic book. You know what it can differentiate a model eBook another? Let’s clear any doubts. All electronic books have in common, usually one point: the use of an electronic ink display. This type of screen allows users to enjoy texts without visual fatigue (such as can cause the screen of a tablet, smartphone or computer) or high battery consumption. 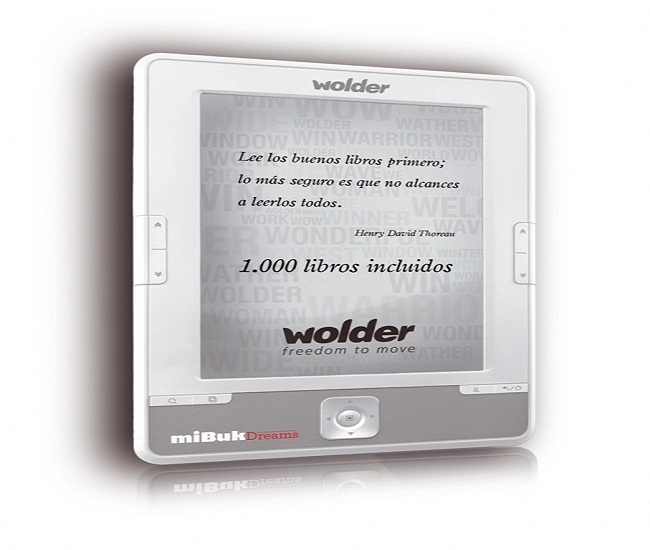 E – book readers available today have screens of electronic ink in black and white, more than enough to enjoy text or graphics. These screens also look much better under the sunlight. The most notable differences between one electronic book and another begin to emerge in their technical characteristics. Normally, the size of these screens is the first crucial difference: find books 6 inches normally, but also some larger. Another difference is the capacity of its internal memory: usually, can find eBooks with a 4GB capacity to store thousands of books without problems, but this capacity can be increased if the device incorporates a microSD card reader, which can increase the capacity up 32 GB more on some models. The large storage capacity of these devices can be exploited with all compatible files: ePub, PDF, DOC, TXT, etc. It is important to note an electronic book that is able to read free file formats such as ePub, not devices with proprietary formats that limit users to purchase only books purchased at the store of the device, reducing the user experience Drastically. 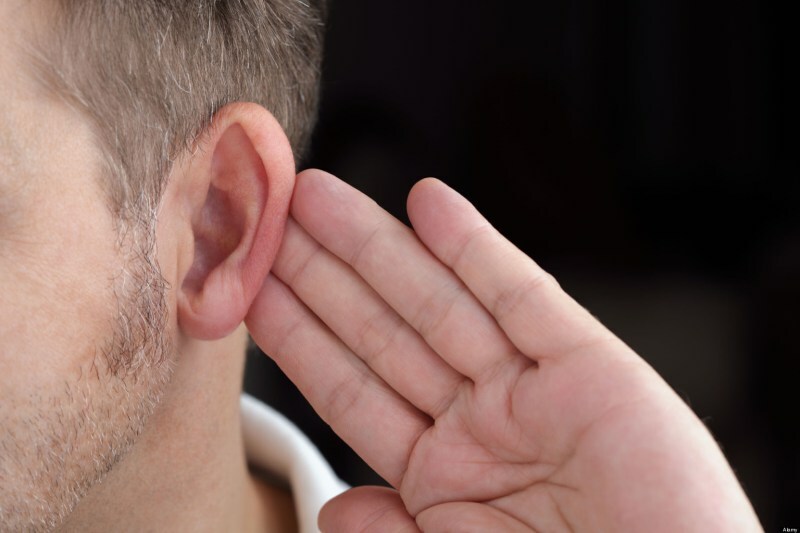 Some models also have the possibility to play audio files in MP3 format. A strong point in many models of electronic books is the possibility of activating light inside of your screen so you can use the device in low visibility, such as in bed at night. Navigation on the device itself is an added extra: can navigate through buttons or through the screen itself if touch. There are also models with minijack ports to connect headphones: this way we can listen to audio books. A very common feature in e – books is to include WiFi connectivity. Thus, in addition to being able to browse the network with these devices, we can buy and receive books directly from it, without the need to connect to a computer. 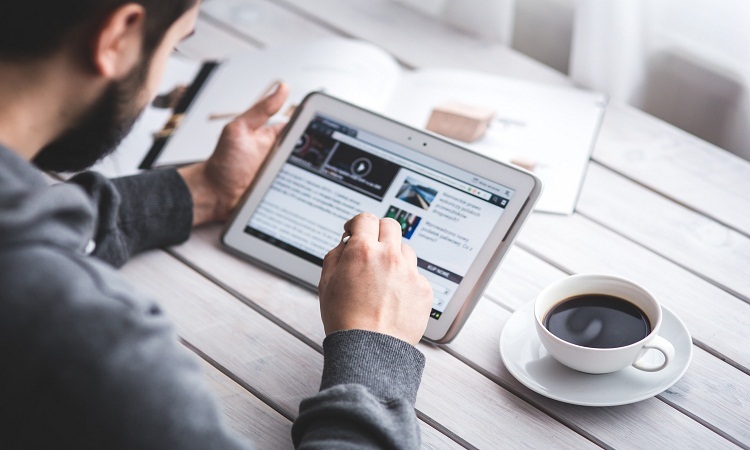 Today, the most notable differences between an electronic book and another residing in certain components: the inclusion of LED lights to read in conditions of low light, including touch screens, the resolution of the screens or replicability Audio from many of them. There is not much progress in general, and almost all available e-books meet the same way for all potential buyers, choosing those little extras will suit the user. Of course, they are learning details of the future of these devices: screens will increase its resolution, sometime in the future we will also have electronic ink displays color (which already exist, but they are really expensive to produce) and even have sensors To turn off page thanks to our own gestures. Choosing our ideal ebook is easy. El Corte Ingles accounts with a choice really varied electronic books. Find your ideal device is really simple with many options as to internal components. 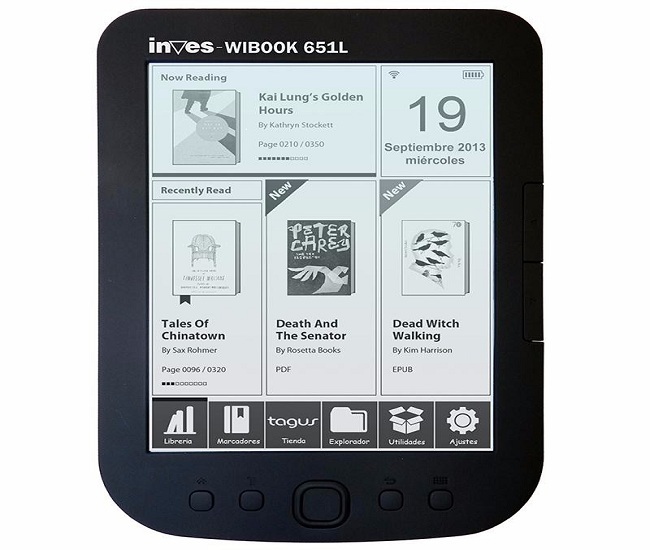 The eReader Inves Wishbook 651L is an option to keep in mind. It has a perfect size thanks to the 6 inches of its electronic ink screen. In addition, this screen incorporates light to read comfortably in low-light environments. It is thin and light has 4 GB of internal memory (expandable up to 32 GB more thanks to its microSD slot) as well as WiFi connection. Its battery perfectly withstands thousands of pages in length. 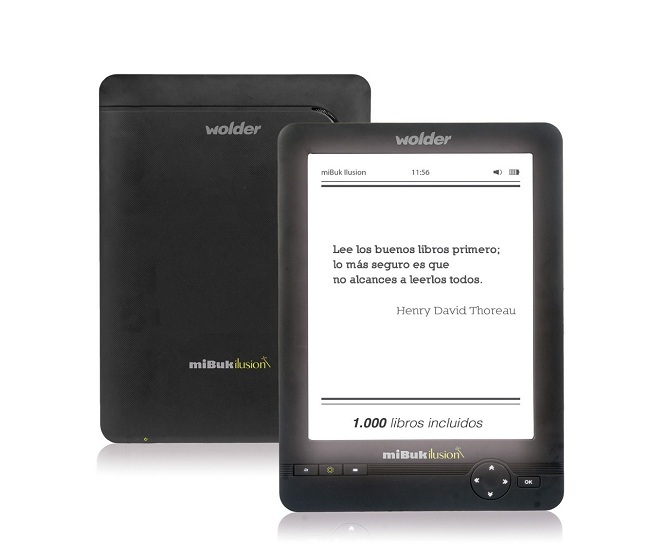 Wonder miBuk Illusion is an eReader with electronic ink display 6 – inch flirty, including the light for reading in the dark. It has minijack port for headphones and enjoys music or audio books. Its internal memory is 4 GB, but can be extended thanks to the microSD slot. Includes a thousand e-books pre-installed. 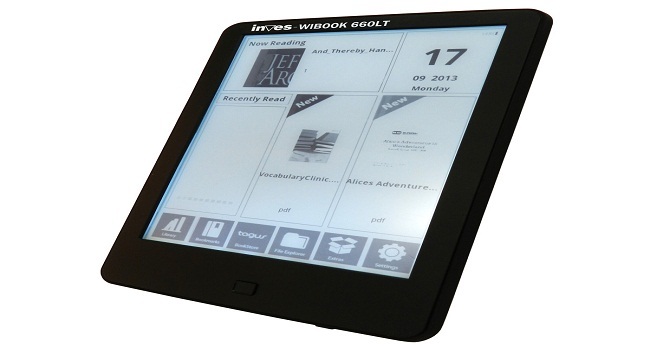 The eReader Inves Wishbook 660LT is an electronic book reader that features a touch screen 6-inch electronic ink. In addition, it incorporates light in the screen to be able to read at night and WiFi connectivity. Its memory is 4 GB to enjoy thousands of books in ePub or PDF format but can easily expand up to 32 GB more thanks to its microSD card slot. 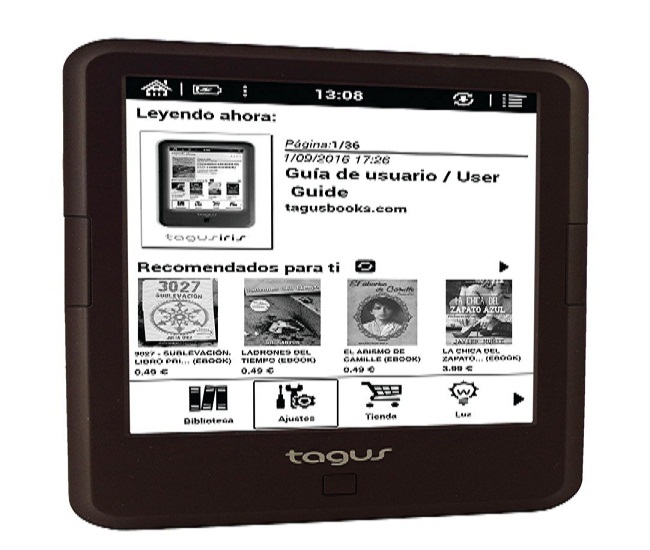 Tagus Lux is a different eReader. Its touch screen is 6 inches as most eReaders options, but in this case, it is a high-resolution screen that has 1024 × 758 pixels resolution versus the 800 × 600 that we find in this type of screens. It also incorporates light so you can enjoy books anywhere. It incorporates WiFi connection, a connector of minijack helmets and microSD card reader, that makes possible to extend the 4 GB capacity that has its internal memory. 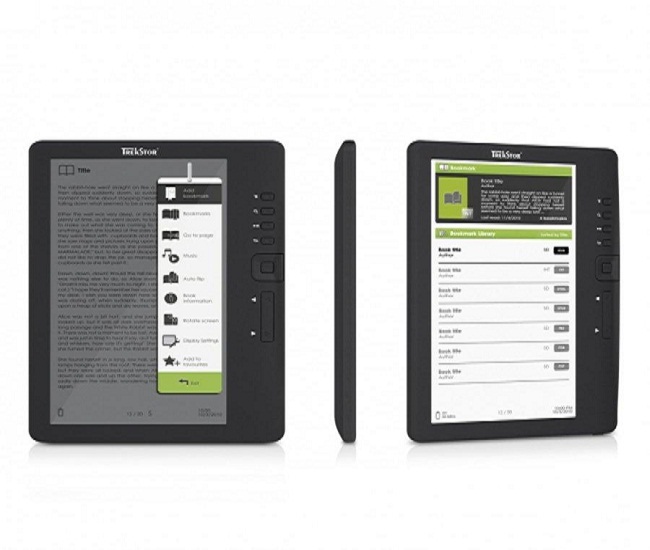 Invest We book 801 is an eReader for users who prefer to read in a big way. Its electronic ink screen is high resolution and 8 inches in size. It has 4 GB of internal memory and microSD card reader to extend the capacity up to 32 GB more. It also incorporates a minijack port of helmets.